Besides a straighter smile, I’ve found a few surprising perks of wearing my aligners. 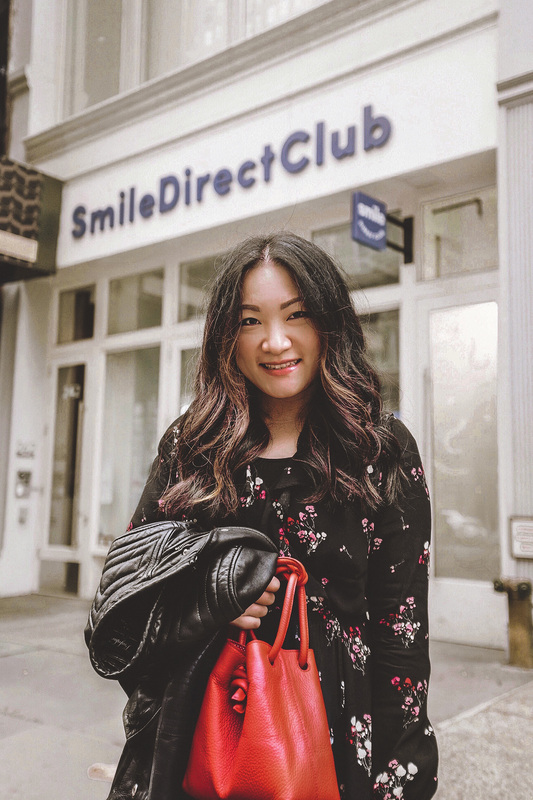 At the time of writing this, I am a little over my halfway point of my treatment with Smile Direct Club. I’ve always wanted to get invisible aligners for the gaps on the bottom row of my teeth and have bookmarked SDC for the treatment. Like kismet, I got an email from them to partner together, and I couldn’t be more excited to start. These months have flown by, and I can’t believe how seamless it has integrated into my lifestyle. 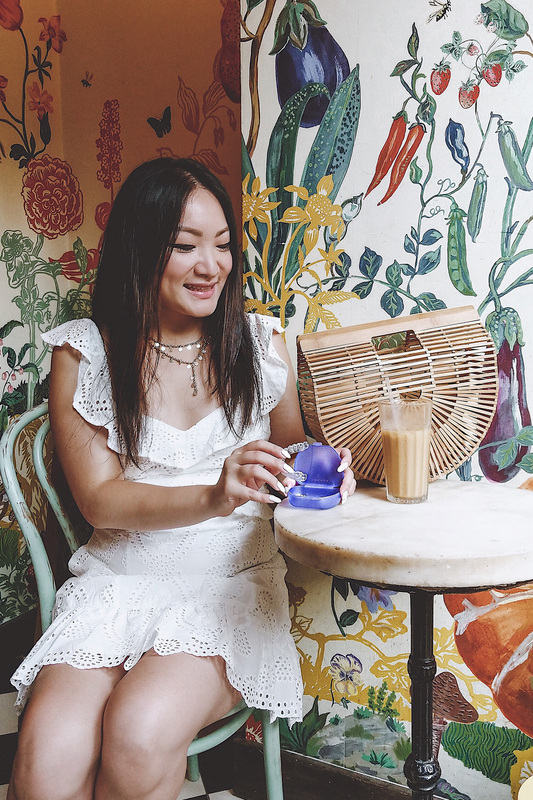 No one can tell I’m wearing them when I smile in public, but besides straighter teeth and non-invasive treatment, here’s three extra benefits I took note of. Since you have to wear your aligners all day and night, except for meals, it actually changed my diet a little bit. I ended cutting out snacks because I didn’t want to bother with taking out my aligners then brushing them and my teeth just to snack. Surprisingly, I’ve reducing bloating from munching on non-healthy snacks and overeating. Win! The thought of a dirty aligner tray makes me shudder. The thought of bacteria or plague coalescing in the trays have prompted me to have the cleanest mouth, ever. My OCD self, cleans them thoroughly after every meal. Pre-aligner me would brush just day and night, but now that I’m brushing and flossing my after every meal I eat, I feel like I have the best oral hygiene in the world. Also, with the aligner trays, you might as well use teeth-whitening gel on top. SDC comes with a pen in their treatment box. So, if you didn’t start with the best oral hygiene regiment, you’ll sure end up with one. This may not apply to you, but recently I’ve started to grind my teeth which somehow led to TMJ. It was such a pain to deal with before, but literally on the second day of my aligners, I noticed how much the trays helped protect my teeth from the grinding. Eventually, as my teeth moved, my jaw muscles were not as strained from the newly developed TMJ. It definitely improved the tension on my face and I’m relieved to know that I’m not grinding down my teeth into oblivion. Less stress is always a good thing. An email will be sent to you with a 3D video visualization of your teeth from start to finish. I like knowing what to expect in the coming months, and it was really interesting to see what needed to be improved in the shaping of your smile. Your box will arrived with all the treatment trays including instructions, tips, tools and a whitening pen. I like that it was up to me to swap out each week (they also send reminder emails), and I didn’t have to visit the dentist office all the time. The first month went swimmingly, but it was at month two when my aligners felt tighter and I started to notice a lot of movement. It was an exciting time. After my third month, I’ve made a lot of progress, especially in my bottom row. My teeth have closed in soooo much. I can’t wait until my six month treatment (so quick) is complete. I’m currently in my fourth month and feel like I’m in the home stretch already. I will update this post as soon as I’m all done! 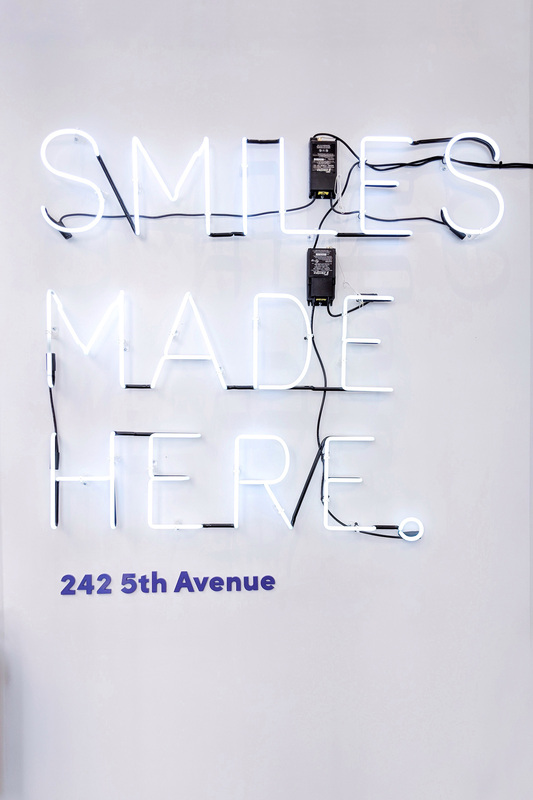 If you live in New York, I definitely recommend going into the Smile Shop in Flatiron (242 Fifth Avenue).